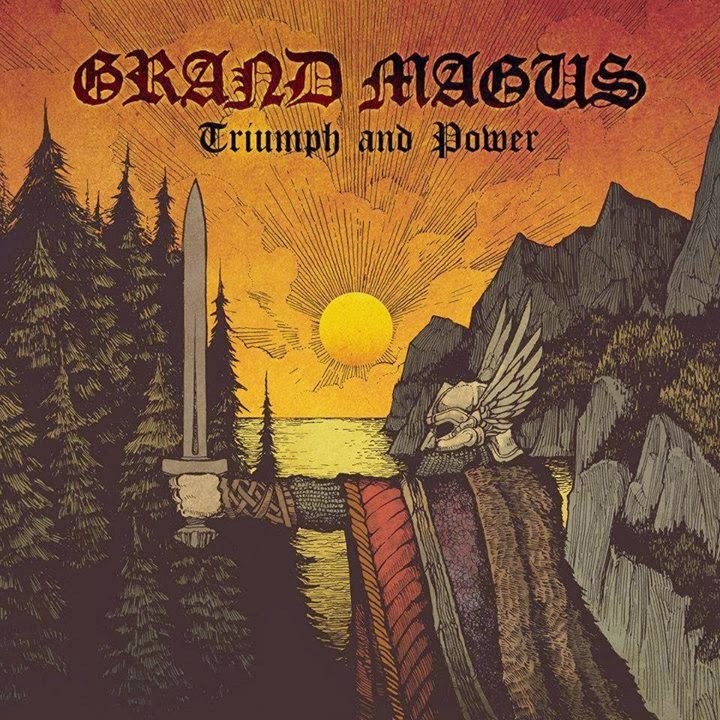 Hall of the Mountain King: Review: Grand Magus, "Triumph and Power"
Triumph and Power is a no-frills, hard-driving, straightforward classic heavy metal album. It’s old-fashioned and completely unapologetic about it. Janne Christoffersson cranks out some huge, galloping guitar licks and delivers his vocals in a clear, powerful voice, with nary a growl, scream or effect within earshot. 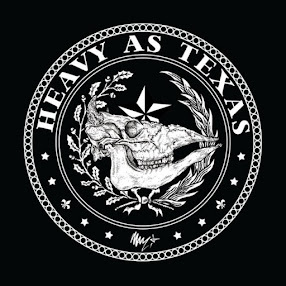 Bassist Fox Skinner and drummer Ludwig Witt give the songs their drive, and the tunes are tight in that way that three-pieces often achieve better than larger bands. Lyrically, there’s a lot of chest-thumping and sword-waving. The songs are filled with testosterone-fueled imagery of Vikings marching to battle. See the title track for a perfect example. The plodding, heavy march of the verse gives away to an infinitely hummable chorus hook that reminds me of some of Manowar’s best work in the fact that it’s kind of cheesy on the surface, but still irresistible. The band takes a turn here and there. There’s an almost thrash feel to the guitar on “Dominator,” while Christoffersson delivers an old-school hard rock vocal that reminds me a bit of Jorn Lande. The instrumental “Arv” opens with the sound of battle drums and the squawk of crows, with a sinuous acoustic guitar piece laid over that evokes imagery of a battlefield in the sad wake of a slaughter. It’s a mood and feel that returns on the similar “Ymer” a few songs later, though that one builds into something a little more grand and majestic. Yes, Triumph and Power is a record that belongs firmly in the mid-1980s, and the imagery is, perhaps, by today’s standards a little outdated and bordering on cheesy. But damned if it doesn’t make me want to raise my sword in the air, bellow out a battle cry and charge into the fray hoping for the valkyries to carry me off to Valhalla.